Saw the strangest bike at Frankenbike Sunday. Looking at it first, I took it for a Technium Raleigh because of the glue bands on the ends of the three mains. 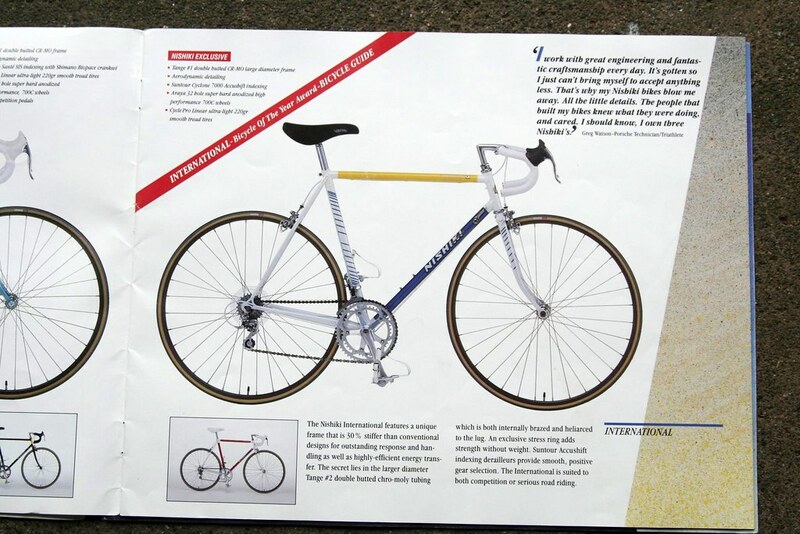 BUT, then admired the racy late 80's paint and the NISHIKI labeling. Then noticed the Tange #1 tubing stickers and finally the Built by Kawamura label on the offside wheel stay. I suppose it could be a Derby consolidated Raleigh USA/Nishiki built in the Kent factory, but that doesn't explain the Kawamura labeling or the Tange steel. Had my camera, should have taken a picture, it was already sold. Anybody have info? I thought it was an interesting puzzle.